The world has become increasingly networked and unpredictable. 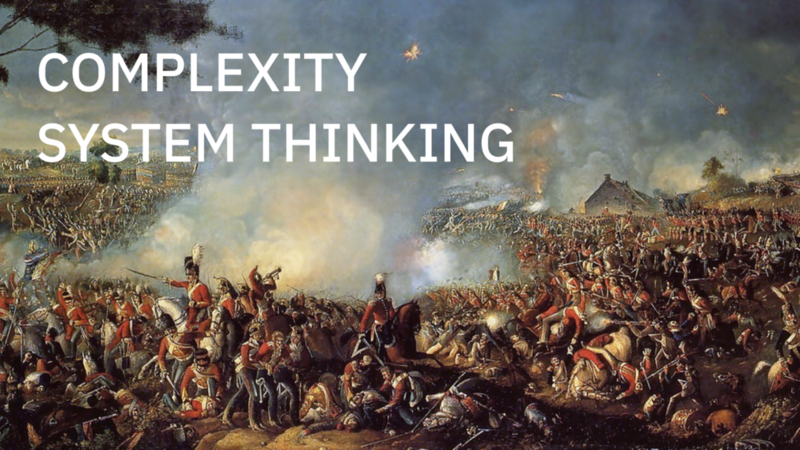 Decision makers at all levels are required to manage the consequences of complexity every day. They must deal with problems that arise unexpectedly, generate uncertainty and are characterised by interconnectivity. Todays V.U.C.A (Volatile, Uncertain, Complex and Ambiguous) world that we live in today. Cynefin sensemaking model - Simple, Complicated, Complex and Chaotic. How to influence a system through organisational leverage points. Understanding of different aspects of complex environments and how these can be managed through the lense of system thinking. A understanding of a strategic framework - Cynefin - that can improve situational awareness and decision making. A system thinking framework that will model your role in relation to other stakeholders in your organisation. An understanding of the ‘Mental Mindtraps’ what make thinking in systems challenging. Managers at all levels of an organisation. Product teams and managers and startup founders. Anyone that wants to view problems from a holistic systems based perspective.